deteriorates, sometimes rapidly. Visual acuity becomes impaired at all distances, and night vision is often poor. Some individuals have vision in one eye that is markedly worse than that in the other. 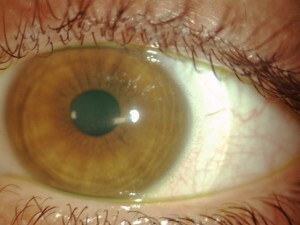 The disease is often bilateral, though asymmetrical. Some develop photophobia (sensitivity to bright light),eye strain from squinting in order to read, or itching in the eye, but there is normally little or no sensation of pain. It may cause luminous objects to appear as cylindrical pipes with the s ame intensity at all points. In early stages of keratoconus, glasses or soft contact lenses can suffice to correct for the mild astigmatism. As the condition progresses, these may no longer provide the person with a satisfactory degree of visual acuity, and most practitioners will move to manage the condition with rigid contact lenses, known as rigid, gas-permeable, (RGP) lenses. RGP lenses provide a good level of visual correction, but do not arrest progression of the condition. In people with keratoconus, rigid contact lenses improve vision by means of tear fluid filling the gap between the irregular corneal surface and the smooth regular inner surface of the lens, thereby creating the effect of a smoother cornea. Many specialized types of contact lenses have been developed for keratoconus, and affected people may seek out both doctors specialized in conditions of the cornea, and contact lens fitters who have experience managing people with keratoconus. The irregular cone presents a challenge and the fitter will endeavor to produce a lens with the optimal contact, stability and steepness. Some trial-and-error fitting may prove necessary. There area Irregular Cornea correction with Silicon Hidrogel contact lenses specifically designed to fit irregular corneas one you can wear comfortably. While GP lenses are often used for this condition, some patients may experience limited wear time, glare and discomfort after only a few hours. the Keratoconus soft lens made in silicone hydrogel or hydrogel high DK for added comfort, and can be fully customized to fit the shape of keratoconic and post surgical corneas. 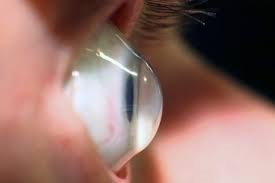 Traditionally, contact lenses for keratoconus have been the ‘hard’ or RGP variety, although manufacturers have also produced specialized ‘soft’ or hydrophilic lenses and, most recently, silicone hydrogel lenses. 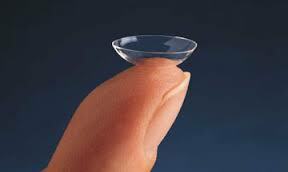 A soft lens has a tendency to conform to the conical shape of the cornea, thus diminishing its effect. 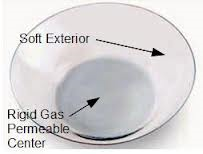 To counter this, hybrid lenses have been developed which are hard in the centre and encompassed by a soft skirt. However, soft or earlier generation hybrid lenses did not prove effective for every person.Early generation lenses have been discontinued. The fourth generation of hybrid lens technology has improved, giving more people an option that combines the comfort of a soft lens with the visual acuity of an RGP lens. Prof. OLENT receives on appointment from Tuesday to Saturday from 9 to12,00 e from 15 to 19,00 oaclock. or call to +39 011-541909 / +39 011-5611030.